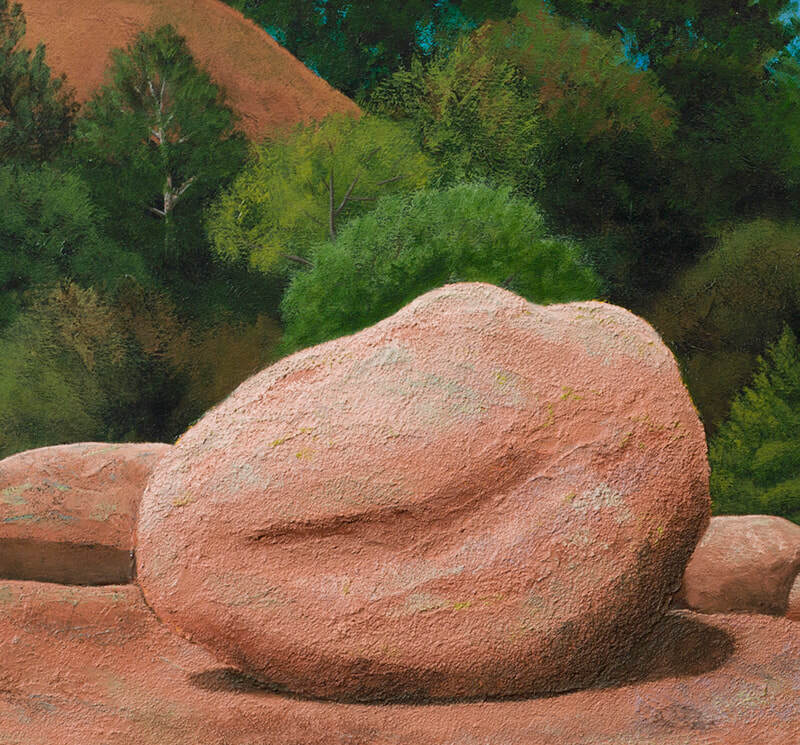 A panorama painting of the giant granite rocks found at Elephant Rocks State Park in Missouri. 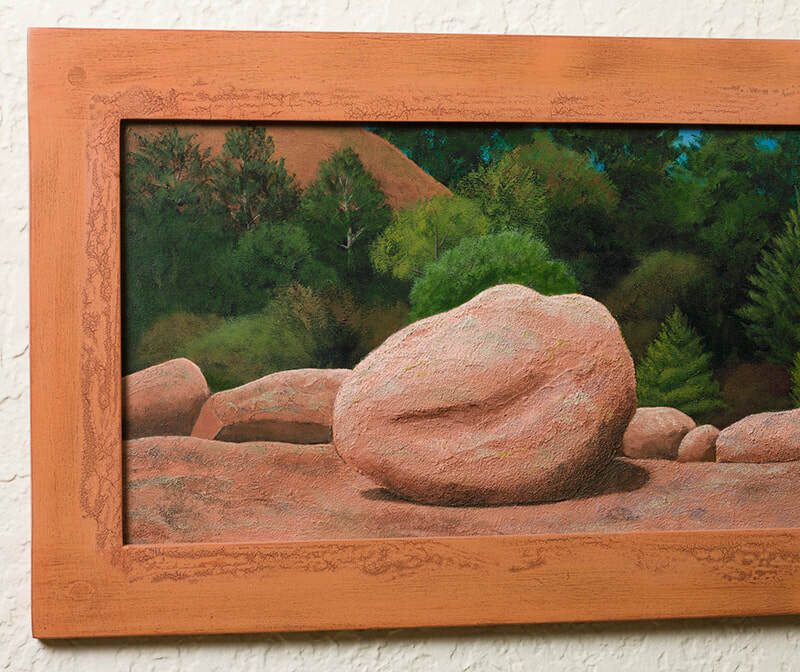 12x48 Acrylic on board and framed in a handmade brown wood frame also made by the artist. Price includes custom made frame.